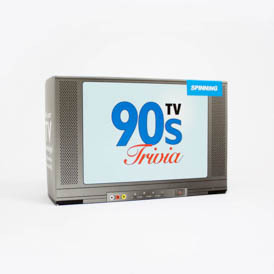 Q: When is a night out a night in? 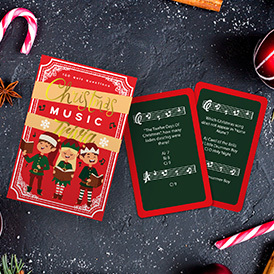 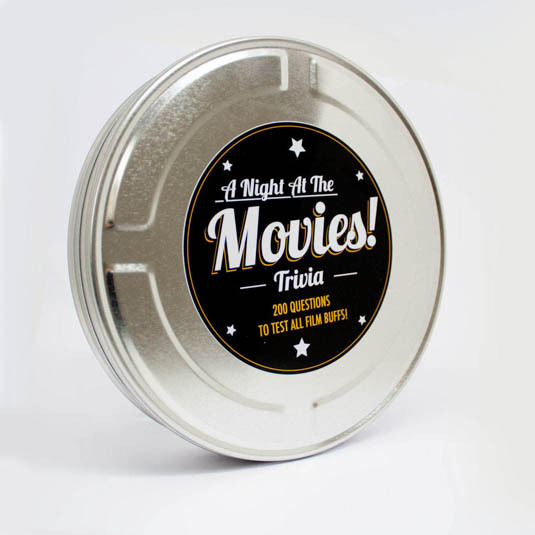 A: When it involves a game of ‘A Night At The Movies Trivia’! 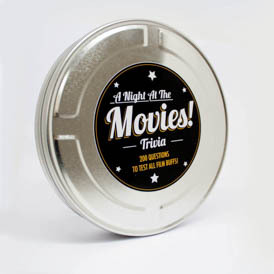 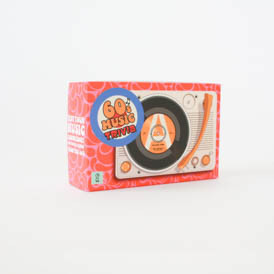 This tin of trivia questions is a 'reel' treat for your favourite film buffs. 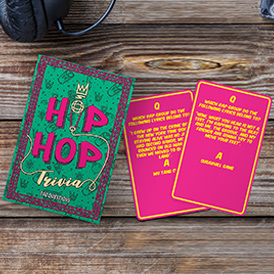 It’s filled with over 200 questions to tax their knowledge of all things cinematic and deserves to be the main feature at all the best house parties! 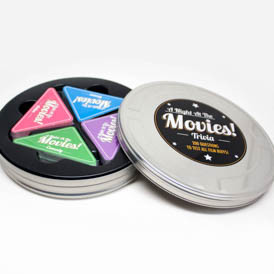 So grab a tub of popcorn and get ready to say “Lights, Camera, Question” with this fab little Night In At The Movies Trivia!